Not on your ink-stained life, but with the digital revolution, change will be the industry’s constant companion. To hear industry critics in 2009, especially after the Rocky Mountain News folded, the economy was about to commit a mass murder of the newspaper industry, and eventually print itself. When the dust settled, very few newspapers went out of business, and those that did were in two-newspaper towns that could only support one. 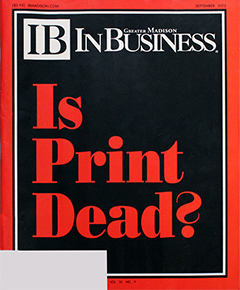 Some publications consolidated, and commercial printers, already prepped for the digital age, managed to make the necessary adjustments to survive the depths of the recession. When evaluating employee recruitment and retention, there is no greater reflection of a company’s values than its employee benefits. So, for our inaugural list, we placed all of the emphasis on employee benefits. In other words, this recognition is not about fancy facilities or buddy-buddy management. For the thirteenth year in a row, Suttle-Straus, Waunakee based communications company, has again been recognized as an industry leader. The Printing Industries of America (PIA) awarded the company for its exemplary human resources practices in its 2012 Best Workplace in the Americas (BWA) program. The company was the recipient of the coveted “Best of the Best” designation, top recognition in the program, the eighth time it received the top tribute. 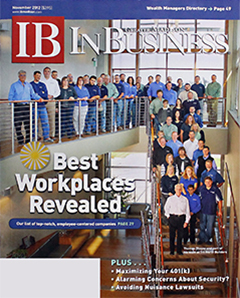 Begun to specifically honor companies that provide a superior work environment, BWA is judged by a panel of highly respected HR professionals with decades of experience. All of the winning companies actively show their employees that they care about their work environment, their personal goals and ambitions, as well as the needs of the company.